Cutting the Cake in Celebration of a Successful 1st Year! We are filled with gratitude as we look back on this past year. 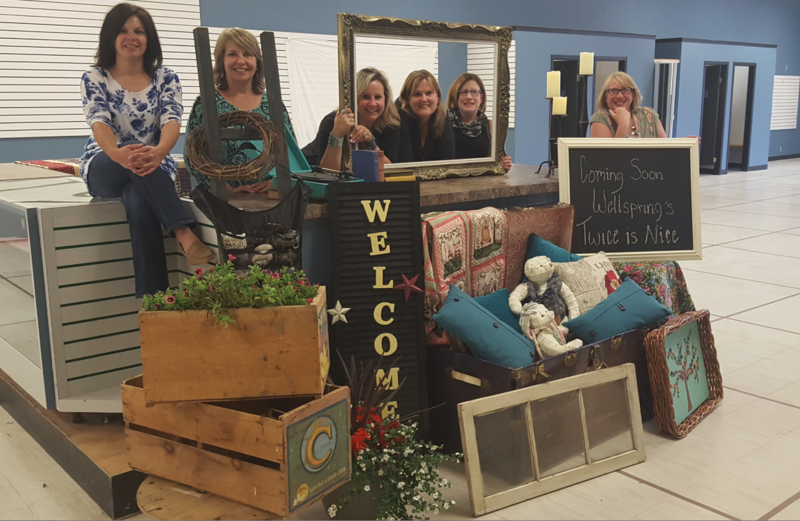 After years of planning we took a leap of faith and opened Wellspring’s Twice is Nice with the intention of creating a sustainable stream of income, items for those who need them and opportunity for employment and volunteerism in our community. We were not disappointed. This year we have provided items to those in need, connected families with resources, people with work experience, volunteer opportunities for those who desire them and a strong, sustainable economic base for years to come. Absolutely none of this would have been possible without support. 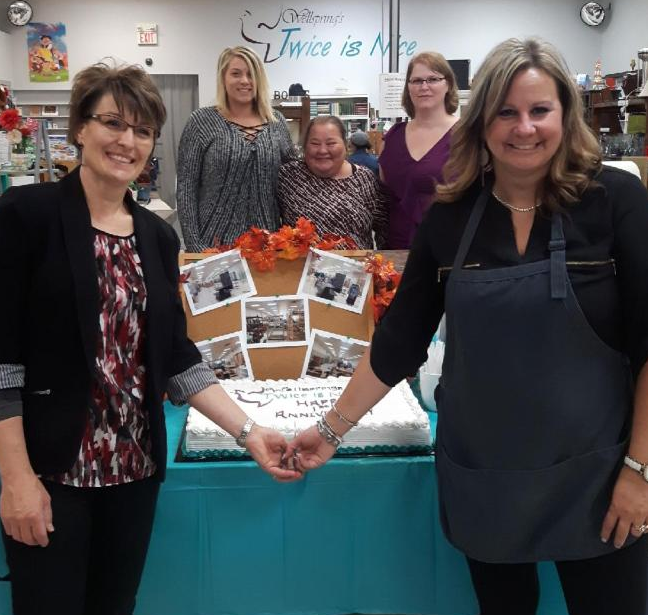 Our amazing staff, who continuously go above and beyond, and are committed to providing the best experience for families in need and shoppers alike. You are all genuinely present and inspired in the work you do. The phenomenal volunteers who are our shining stars, donating time, energy and hard work. Thank you to you for showing up, digging in and making a difference! Community organizations, who consistently offered support, expertise and even services as we journeyed through our first year! Our wonderful community members! Thank you for every item donated, item purchased, every kind word, vote of confidence and show of support. Thank you! Looking back to one of our very first days in the building. So much excitement! We look forward to seeing everything this next year brings!